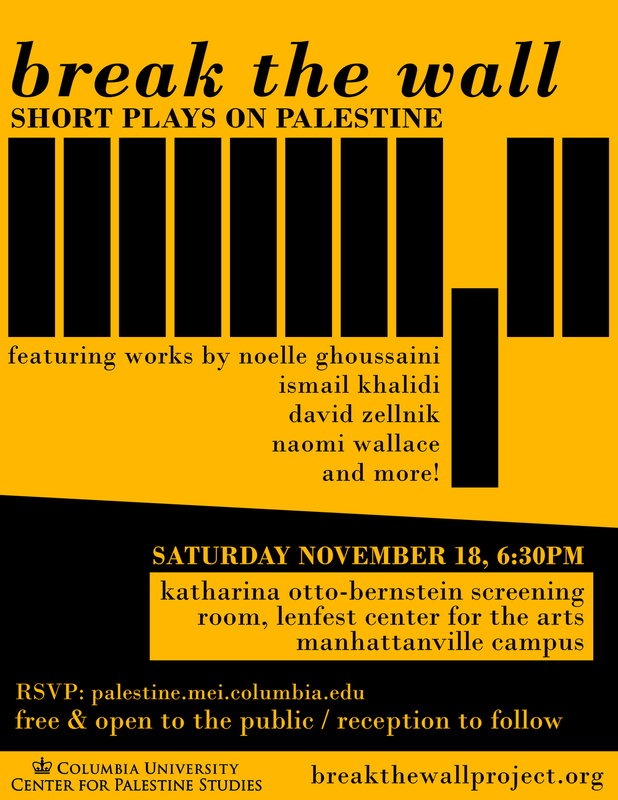 An Evening of "Break the Wall" Plays at Columbia, November 18th! It will be an evening of brand new and existing BTW plays, presented by an amazing set of actors and directors. We'll be posting the full team soon! Meanwhile, if you'd like to learn more about the Balfour Declaration and its affect on the indigenous population of Palestine, please read Rashid Khalidi's recent excellent piece in Jacobin. Older PostPhotos from the June 5th Launch!